Before I tell you what I did, here is one final picture from my boat trip. Since I was on the boat almost constantly for those 10 days, I never had a good opportunity to take a picture from the outside. Now that we’re all back everyone is sharing the photos they took, and I really love this one. The kitchen that I showed in my previous post was situated in the shack with the blue roof. We’ve had amazingly good weather and it was a great trip. After what I already told you about in the previous posts, I also served Dutch nasi goreng with chicken satay and hot smoked salmon. 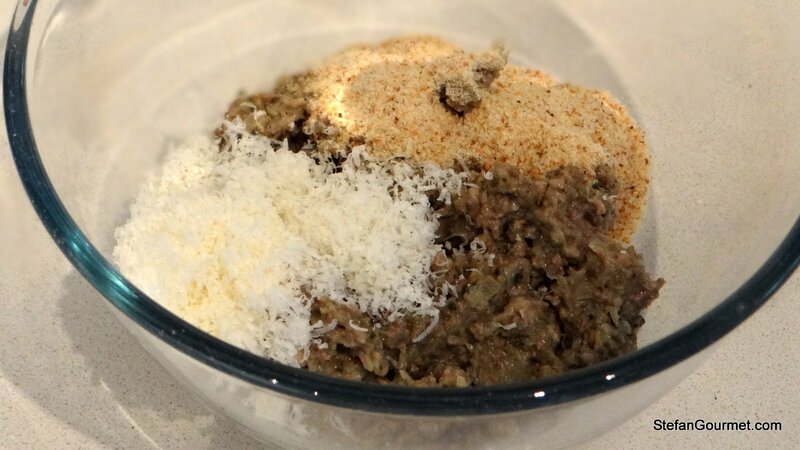 Combine the stuffing in a bowl with 2 tablespoons of the breadcrumbs and the cheese. Roll this mixture into 12 to 16 balls. 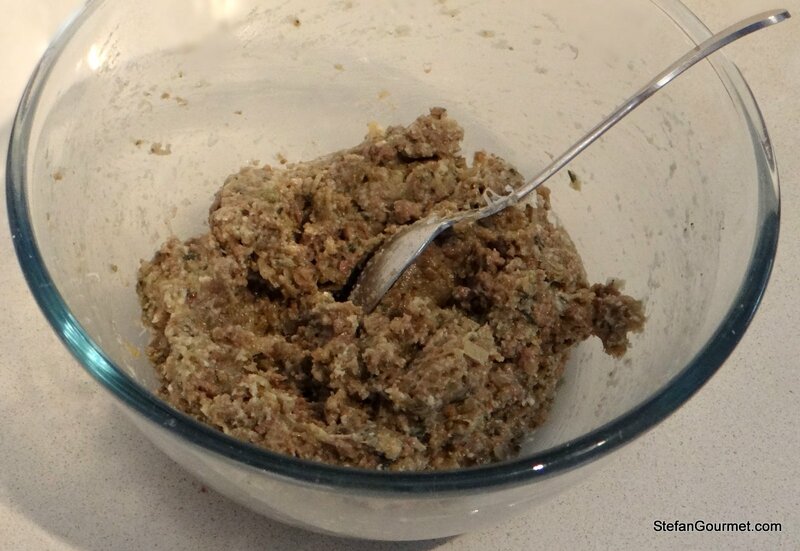 The mixture should be soft, but firm enough to do this. If not, add a little more breadcrumbs or cheese. 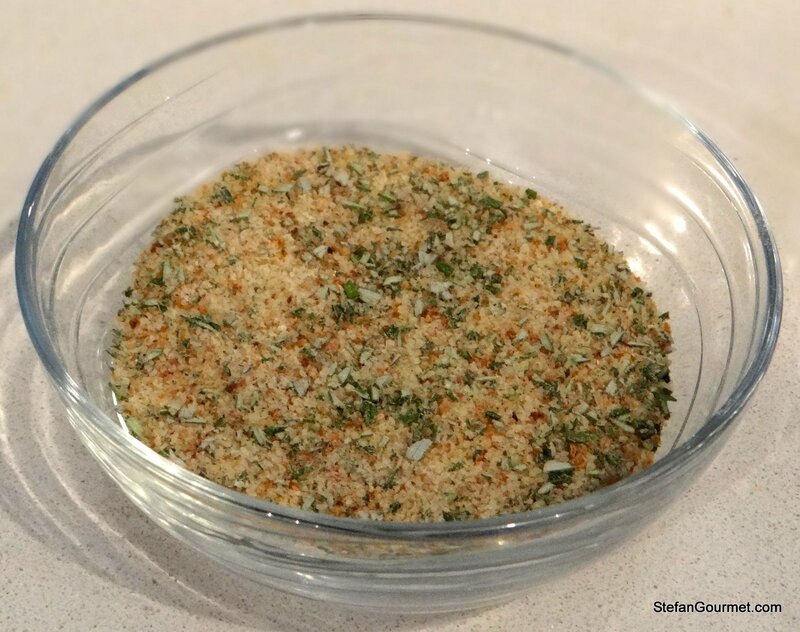 Combine the remaining 6 tablespoons breadcrumbs with the minced rosemary and stir to mix. Set up an assembly line. 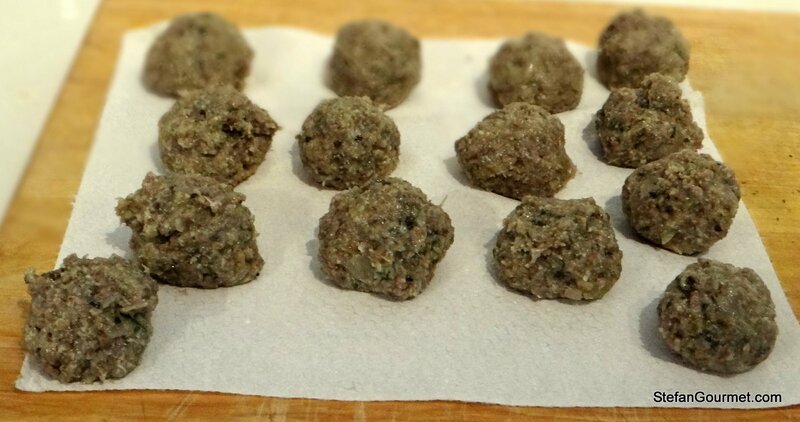 Roll the balls first in the flour, then in the egg, and finally in the breadcrumbs with rosemary. 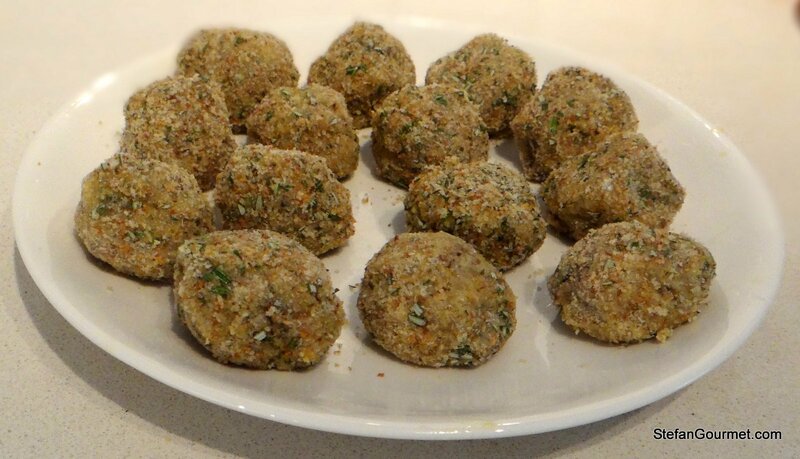 Arrange the breaded meatballs on a plate and allow them to dry a bit, turning them after a few minutes as otherwise they may stick to the plate. 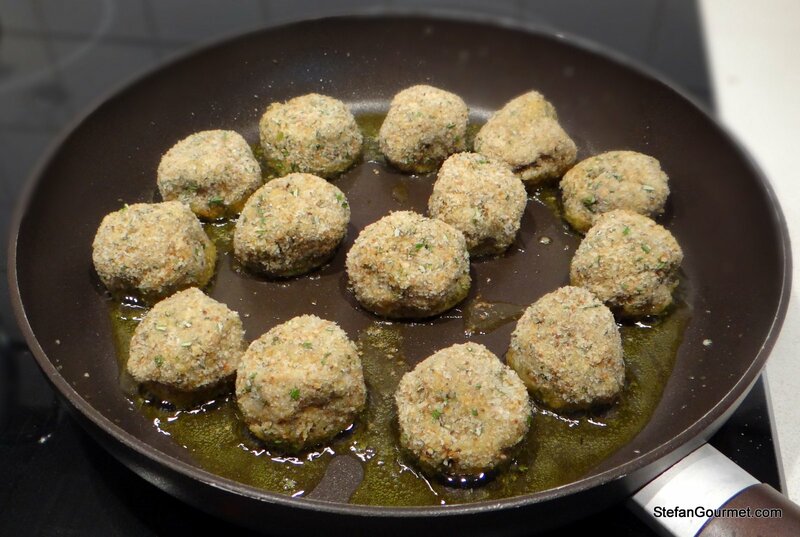 Heat olive oil in a non-stick frying pan and add the meatballs. Fry them over medium high heat until they are golden brown and crispy on the outside and warm on the inside. 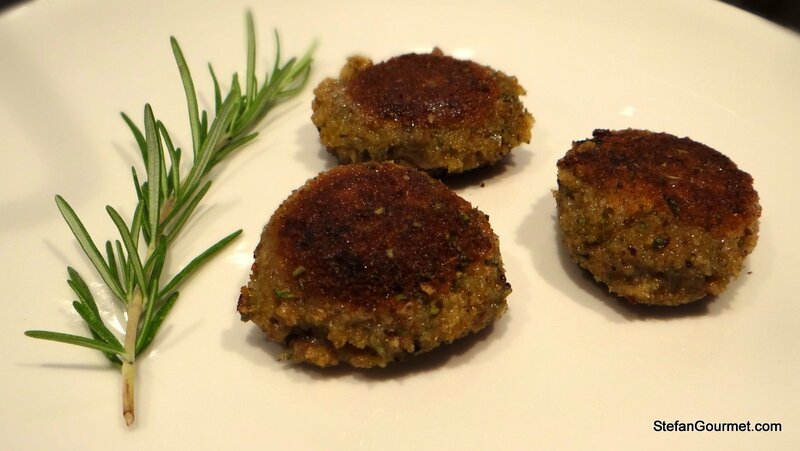 Serve immediately as a secondo piatto with a simple salad or as a piatto unico with mashed potatoes and vegetables. Mouth wateringly drool-invoking: how’s that for a description!!! These look wonderful Stefan ! They remind me a bit of something I used to make in Malta – I wrote myself a note to find that recipe so I can post it. My recipe has only eggplant etc. – no meat – but I love the combination of flavors in this post!! Thanks Cecile. 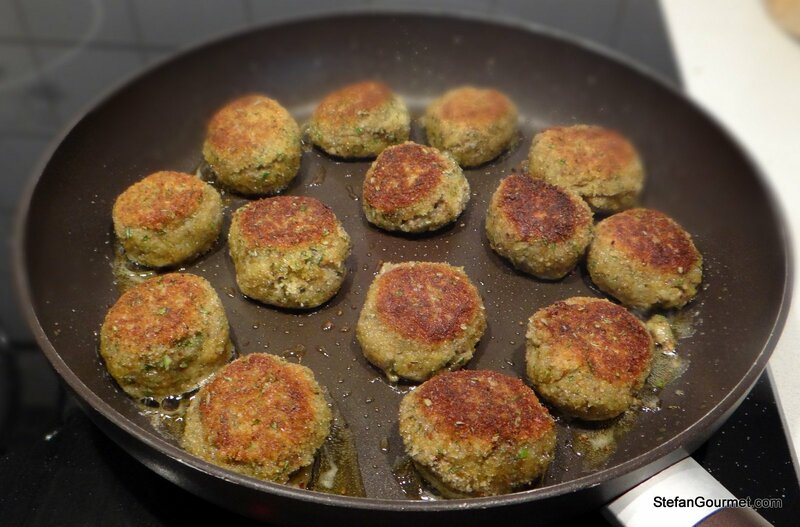 I’m planning to try and recreate fennel polpettine I had in Sicily, also meatless. 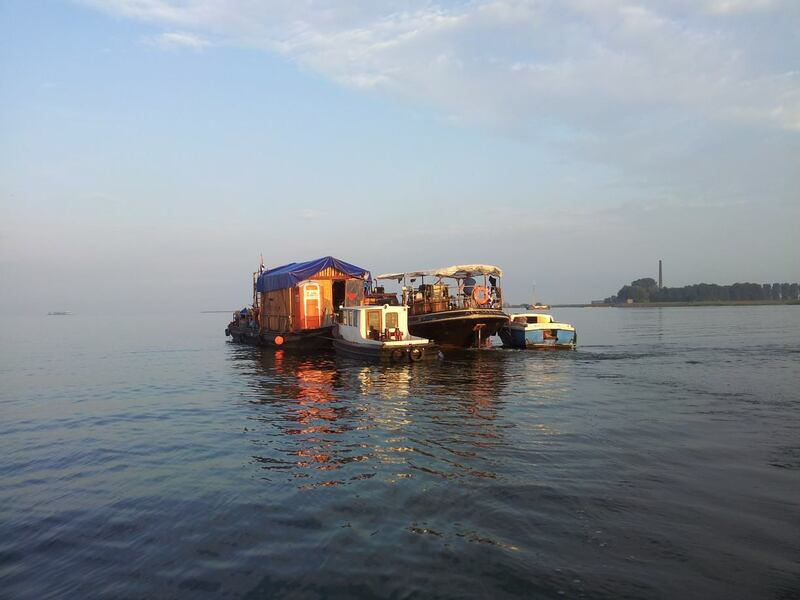 That photo of your floating kitchen with a group of boats is very idyllic. It could have been taken in the 1800s with that lone smokestack on the shore off in the distance. Have fun this weekend at gay pride in Amsterdam. I will be looking forward to seeing you in a couple of weeks! Thanks for the link back to your previous post. While on vacation, I apparently lost a number of email notifications for postings and your roasting of a suckling pig is one I surely did not want to miss. Thanks, John. We certainly had a great time!